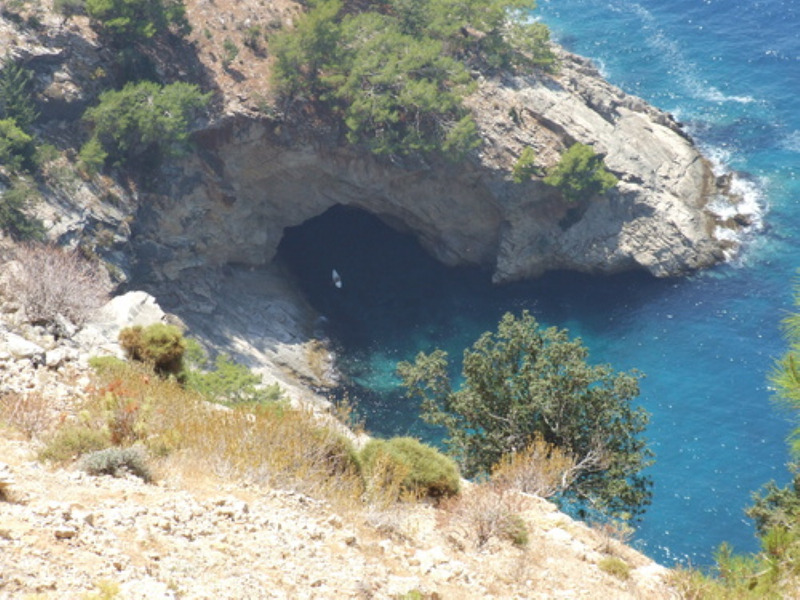 Are you get bored with the classic boat trips in the area ? We have an alternative for you. 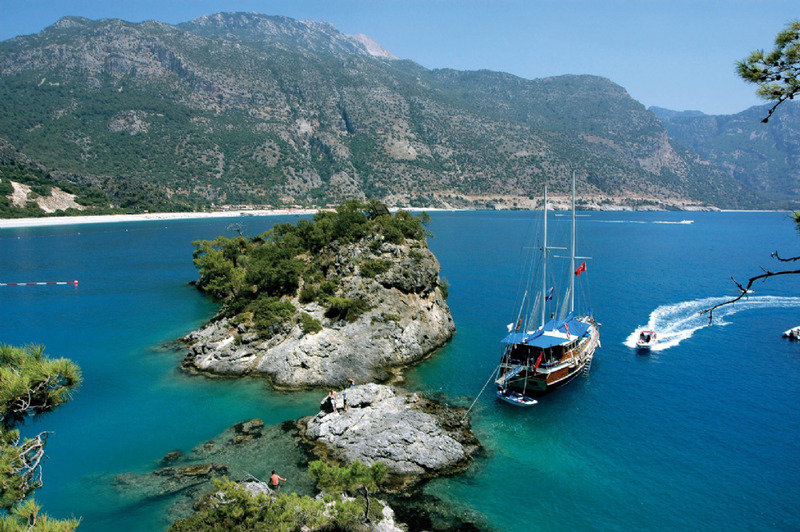 A new trip from Fethiye to Oludeniz with Kardesler Sailing Boats. 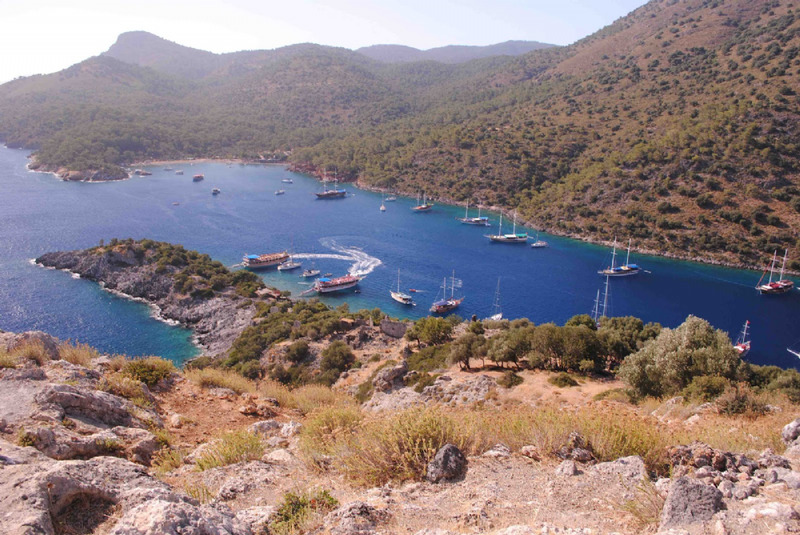 4 stops with sailing boat and limited capacity for a new, relaxing tour... Our boat sets off from Fethiye Harbour to secluded view of Fethiye gulf for new Alternative Oludeniz Boat Trip. 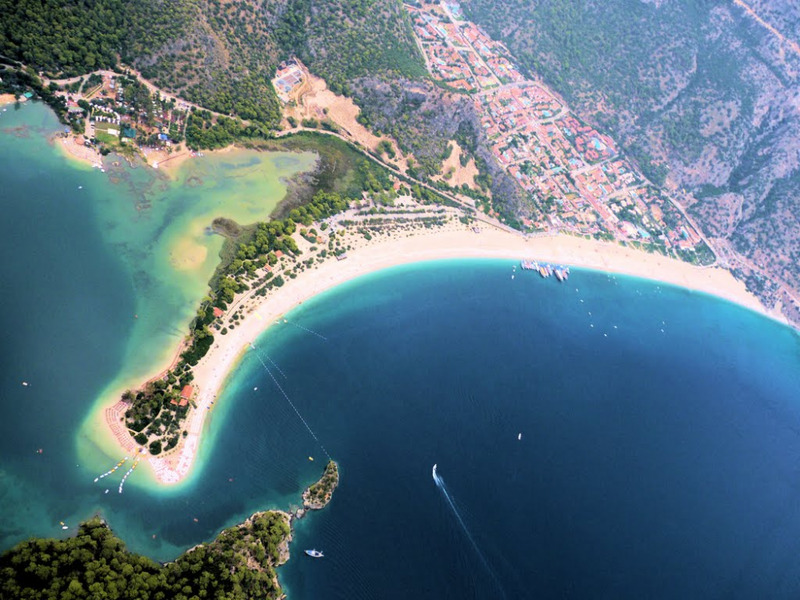 On the way to our stops you will have chance to see unknown beautiful parts of Fethiye Gulf. 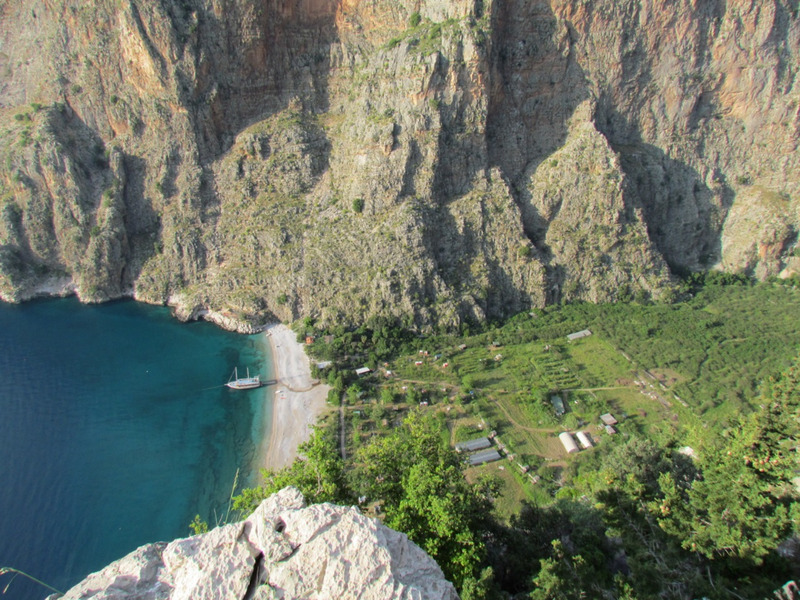 Butterfly Valley, Blue Cave, St. Nicholas Islands and Aquarium Bay some of our stops. 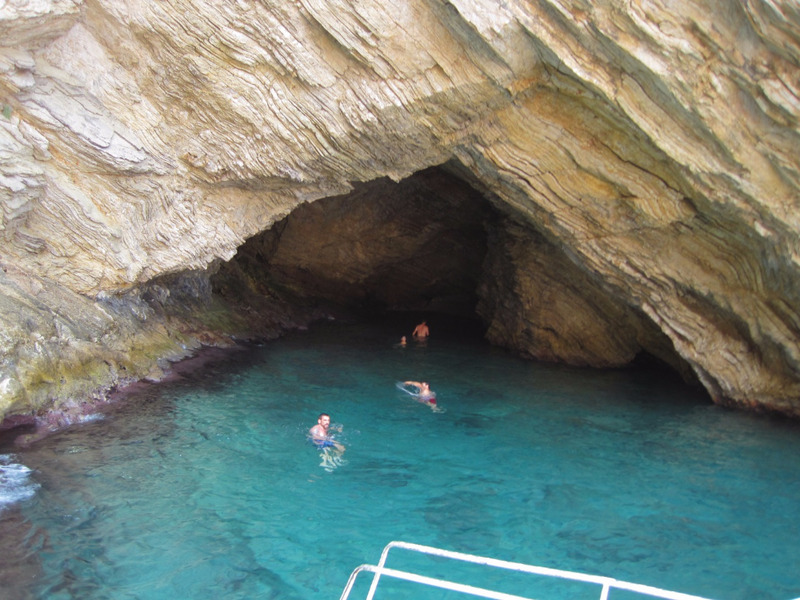 Plenty of chance to swimm snorkel, cool off, sunbathing and sightseeing. 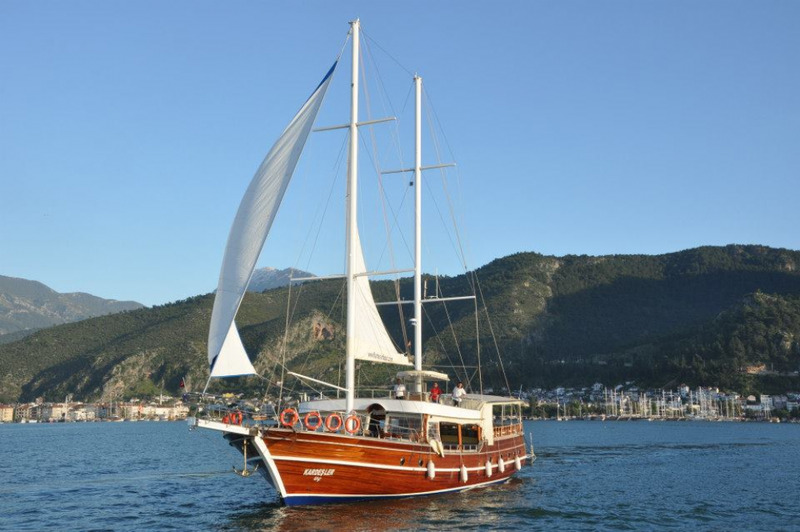 Open buffet BBQ lunch is included in the price and will serve you freshly on board by friendly crew. 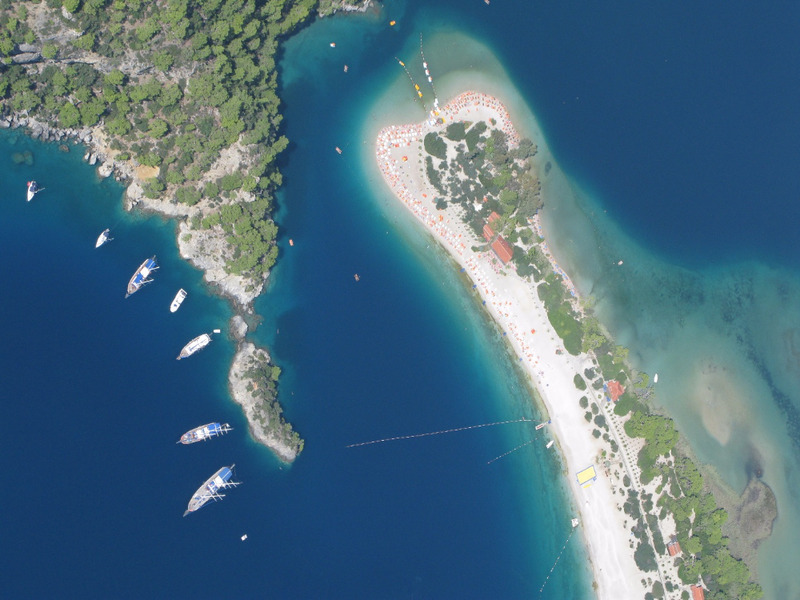 Fethiye Alternative Oludeniz Boat Trip starts at 10:30 am and finishes at 7:00 pm. 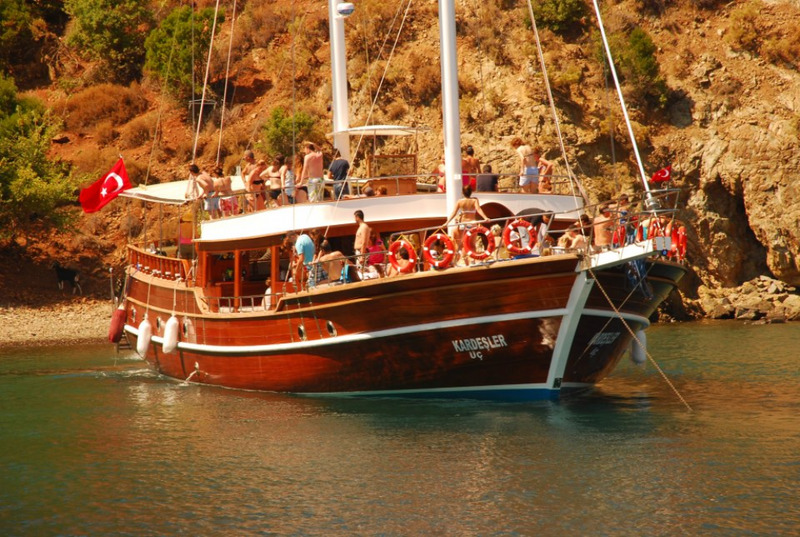 Alternative Oludeniz Boat Trip includes return hotel transfers and BBQ open buffet lunch. 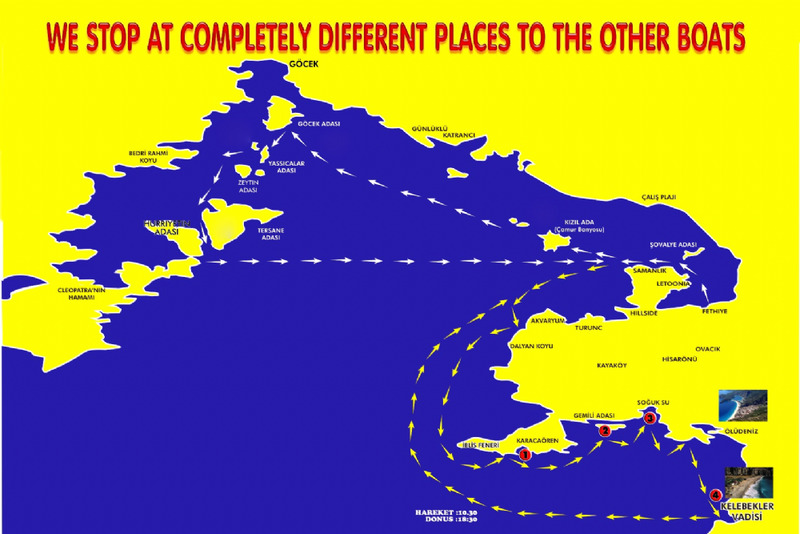 You can order all kinds of alcohol and soft drinks from our bar on board with the reasonable prices.